You are never too old to play with paint. 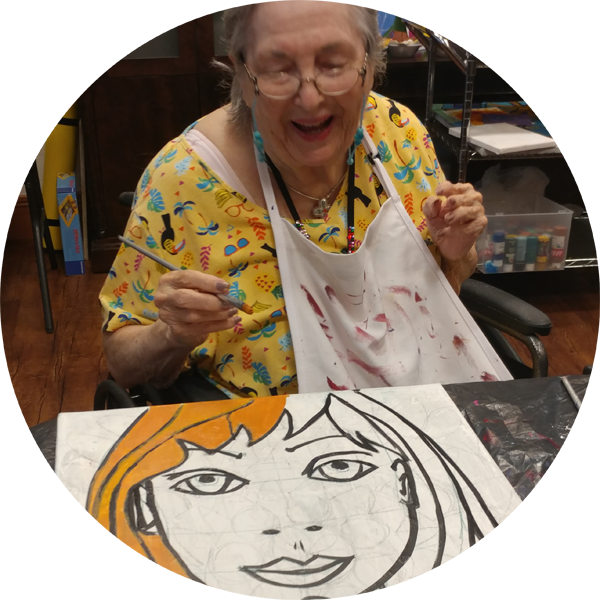 In my art & creativity classes for seniors, there is no wrong way to make art! My goal with each class is to create an environment where residents feel empowered to make their own mark with confidence and a smile. and help you stop the thinking mind! When developing creative projects, abilities and limitations are always considered. 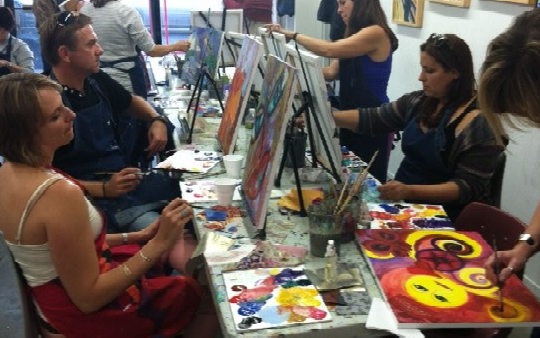 In each class, students are given step by step instructions on how to create a painting or project. Loving support and encouragement is also key. We are always so proud of our artwork that we want to show off. As part of the class, we can also organize on-site gallery exhibitions for the entire community to enjoy. Contact me today to schedule on-going painting and creativity sessions for your community or loved one. 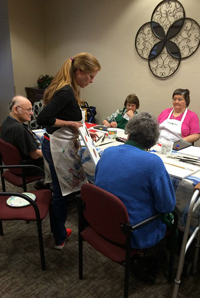 I offer monthly, bi-monthly and weekly art and creativity sessions for groups and individuals. We all encounter challenging life experiences. Unfortunately, many of us immediately consider the worst possible scenario and then find ourselves spending much of our time thinking about what we don’t want. Painting is not just about creating a masterpiece. 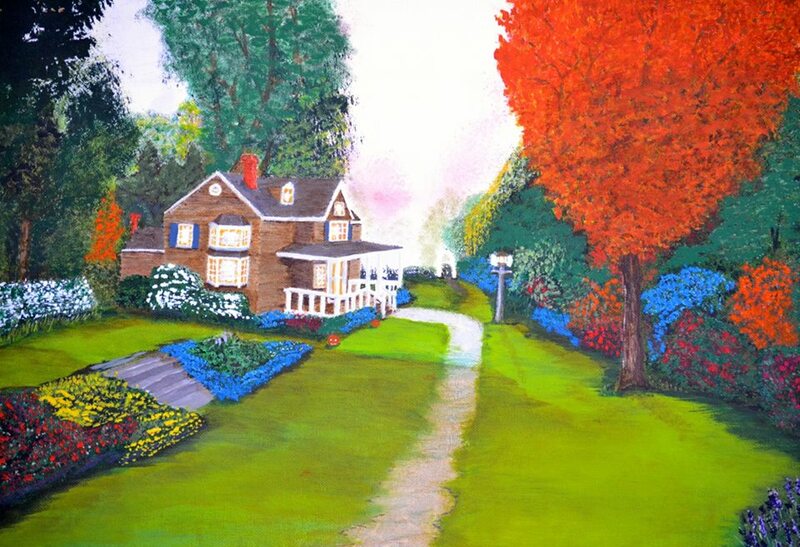 Painting is a practice that can mirror our lives and help us create the change we want to see. When you engage in a regular creative practice, intuition grows, new insights are revealed and we learn to take bolder action in our lives. Simply put, we can paint what we want to experience in our lives. 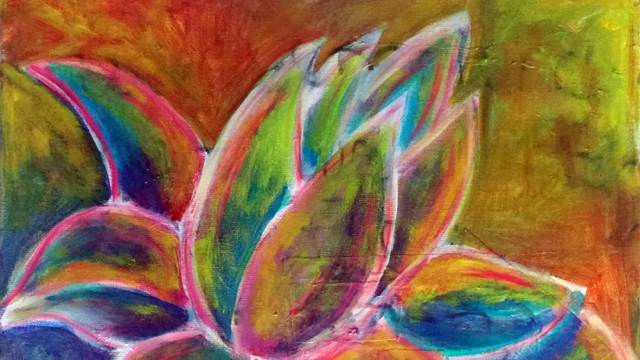 Why Paint the Lotus Flower? The lotus flower only grows in the murkiest of mud and yet the blooms are incredibly beautiful and water easily rolls off each petal. We paint the lotus flower when we desire the energy of BLOOMING despite the challenges, or the mud, we may be facing. Like the lotus we can rise through and above the mud to blossom in the sunshine. 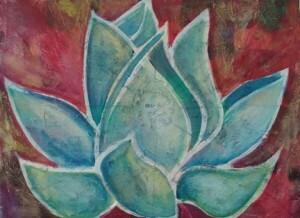 In this 2.5 hour workshop, you will be gently guided through a step by step painting process to create your own unique lotus flower painting. Wear old clothes and bring an apron, if you have one. No experience necessary. Pre-payment is required for this class. Cost: $45 per person, all supplies included. Yes you can! We will have cork screw and cups ready and waiting. Wear what is comfortable and something that you don’t mind getting paint on, just in case. If you have an apron bring that too. I have no painting experience will I do OK in this workshop? YES! There is no experience needed. Actually this workshop is ideal for first time painters! Painting with new friends and discovering that you really can paint, is exciting and sometimes life changing! 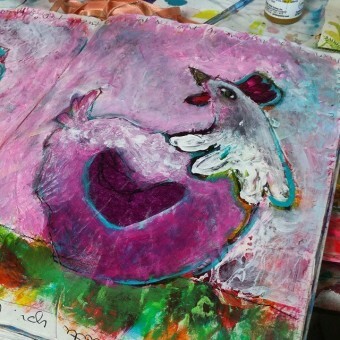 Creatively Fit workshops are a fun inspiring experience, that provides a supportive space for you to explore and discover your artist within. At the beginning of the workshop students are often heard saying things like, “I’m not artistic”, “I can’t paint” or “I don’t have a creative bone in my body” – but with a little guidance, fun and freedom, look what can happen! The art below was created by students who attended a Creatively Fit Painting Workshop, many of whom were convinced they could not paint. Come and join the fun – find out more about Creatively Fit workshops. The ART for Veterans project brings creative and healing support to our veterans from every branch of the military. ART for Veterans is a project of Flags Across The Nation, a 501(c)3 non-profit based in Charlotte, North Carolina. Flags Across The Nation (FLAGS) has been promoting patriotism through the arts since 9/11/2001. This project provides veterans with free art materials, intuitive art inspiration and a place to get creative. We believe that in the process of creating, healing can take place. 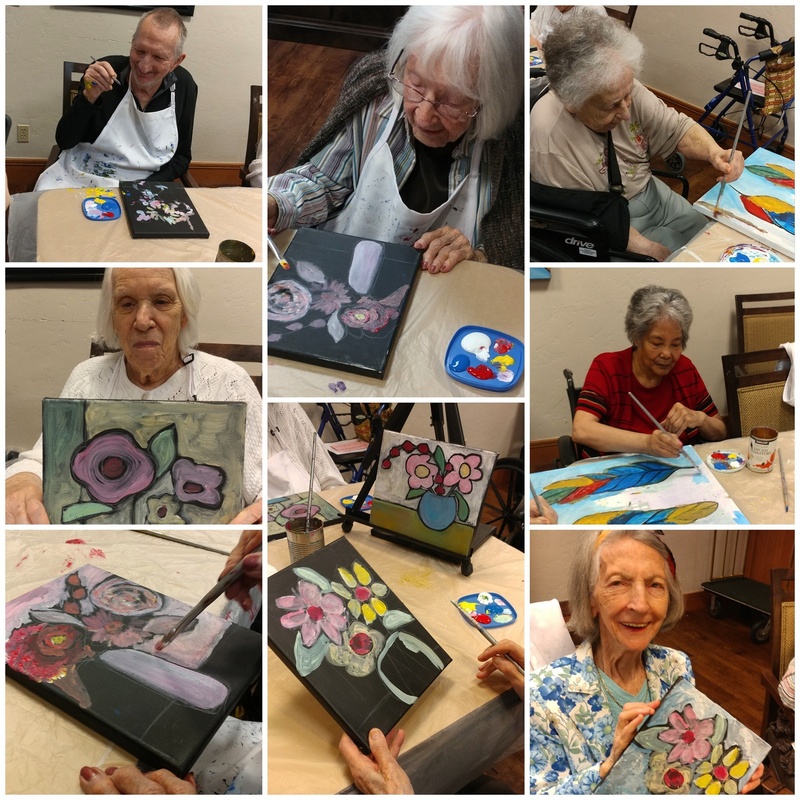 Free painting classes and painting supplies will be provided and veterans can participate in a 4 week session that meets once a week for 2 to 3 hours. If you are a veteran, you will have the opportunity to express your creativity using painting techniques that will encourage exploration of materials and mixed media. No experience needed. Join us in a supportive environment where you can create art that has meaning and healing for you. All supplies, instruction and art space is free for veterans. It’s our gift to you from Flags Across The Nation, Studio Lilley and our sponsors. We want to thank you for your dedication and sacrifices. Explore the possibilities with ART for Veterans. Contact Studio Lilley in Mesa Arizona or call FLAGS Across The Nation at 704-962-1868 for more info about the upcoming classes. Looking for a fun project to support or a place where you can share your talents? We want to hear from you too!